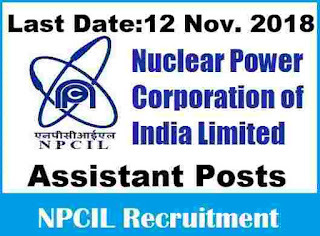 Nuclear Power Corporation of India is inviting all eligible and interested applicants for Assistant and Stenographer posts. So those who are looking for the Government jobs in India can apply for this NPCIL Recruitment process 2018. More information related to this recruitment process is given below in this article. Read out the complete article carefully before applying online. Pay Band: Rs.25,500 per Month. Education: Graduation in any stream with 50% marks can apply for this job profile. Age Bond: Must have applicants age in between 21 years to 28 years. 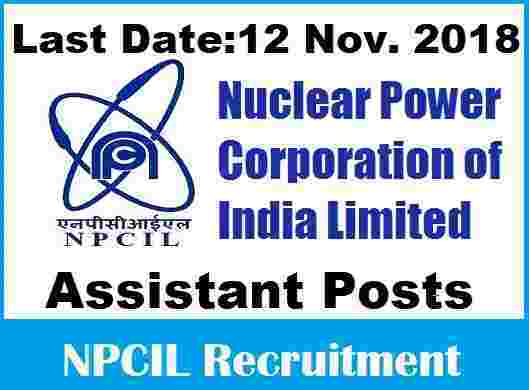 So those who lies in this age figure can apply for this NPCIL Recruitment process 2018. Education: Graduate pass with 50% marks in any stream and also have good typing speed on Steno. Age Bond: All those applicants are eligible whose age lies in between 21 years to 28 years. The good news to all the graduate candidates that they can apply for this NPCIL Recruitment process without paying any application fee. ZERO application fee is required for applying online. 18TH Oct. 2018 is the Opening Date to apply. 12th Nov. 2018 is the Last Date to apply. Disclaimer: We took this information from the following website: “https://npcilcareers.co.in”.So all the rights of the above information goes to this website only. We are just share this information on the basis of the PDF file which was shared on this website. The PDF file link is being shared under IMPORTANT LINK section.